There is a television show on ABC where a professor takes five students under the wing. The teacher is charismatic, unconventional and named Professor Keating. The plot quickly differs from that of the earlier Professor John Keating in Dead Poets Society, except for one thing: both of them get away with murder. Their command of the classroom kills student participation. 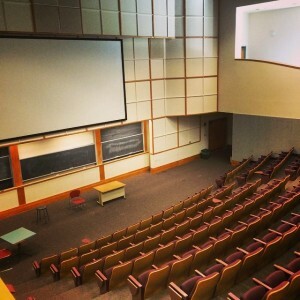 The show portrays Professor Annalise Keating teaching in a large-enrollment classroom, where she typically strides into the room exactly when the class session begins. And then, the fictional professor begins doing something familiar: she begins to murder student participation. What does she do? Creating a classroom atmosphere of over-participation by the professor and only a few students kills engagement by the other students in the room. The show illustrates how a lack of pedagogical self-consciousness on the professor’s part leads to the same for the over-participating students, who are then expected to answer all the questions on the part of the other students in the room. Scenarios like these play out in both face-to-face and online courses. Television shows tend to shape not only public perceptions of higher education but also how we professors slip into pedagogical somnambulism. How do we avoid parroting the commanding, charismatic paradigm? Surely this is not the alternative to the boring professor (such as Ben Stein [I stand corrected!] in Ferris Bueller’s Day Off)? Or, more to the point, how do we keep student participation alive in our classrooms? Stating your expectations. Class norm statements stated in-class, on the syllabus and online. Obtaining student feedback about participation norms. Hack the test feature on BlackBoard Learn to obtain student’s input and create a list or a graphic representation (e.g., a word cloud). Physician, heal thyself! Be self-conscious about your participation. Take stock of how you behave around in-class and online. Are you over-participating? Do your open-ended questions pose too much difficulty? Do you find yourself, as a result, having to “save” the class from the questions? Do you reflect on your questions and class sessions to consider whether someone other than yourself can clearly see where you are taking the topic? Do you actively redirect attention from yourself towards others in the classroom? Are they the same students each time? Make use of technology in the classroom and online. Hack the Blackboard test feature to set up no-stakes true/false quizzes that ask students to take positions on (controversial?) topics related to the course topics. Guide students to complete their Blackboard profiles, and then design an activity that uses these profiles to pair up. Consider asking students to not upload images of themselves. Instead, have them use images that symbolize something relevant to themselves or the course. Create a forum where students post images, rather than text, for their replies. Post images and ask students to explore the possible metaphors that explain them. Use a talking stick of some kind, virtual or actual. If you use discussion forums and use a rubric, then ensure your rubric is like a tweet. Seriously, use 140 characters as your goal. Go beyond forums and in-class discussions by using tools to emphasize students’ voices. Just google these options: Animoto and VoiceThread. You will get the idea.